Last Updated: 05 Feb 2015. 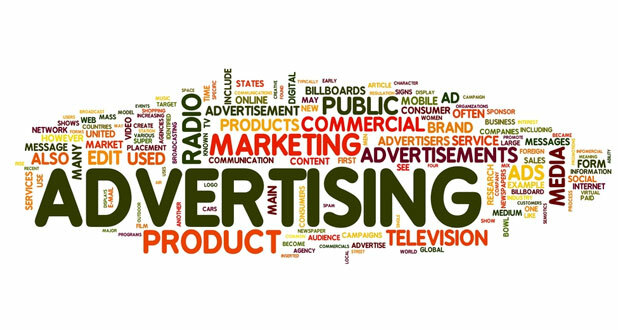 Advertising is the art of drawing the attention of people, to promote the sale of a product, by using attractive pictures, slogans, or by demonstration. It has today become a highly specialized activity for creating customer awareness, increasing curiosity, so that he finally buys the product. It's influence can be gauzed from the fact, that the government is also using this medium, for educating the masses on important social issues, as family planning, aids, etc. The art of advertising was perfected in the industrial revolution of the last century. We have today different mediums of advertising that is through television, radio, hoarding, press advertisement, glow signs and leaflets. Advertising in these Medias require specialized skills and high degree of professionalism and competence. The all-pervasive influence of advertising in our daily life cannot be denied. Most of our conscious or unconscious actions are dictated by the advertising we are exposed to. Thus it dictated the brand of tea we drink, the newspaper we read, the clothes we wear, and almost everything we do, or consume daily. It has today become the lifeblood of business, companies need to advertise not only to launch new products or increase their market share, but also to maintain their presence in the market. The most common criticism we hear about advertising, is that it promotes consumerism. Consumerism itself is no evil, for it directly helps in raising the standard of living of the people by accelerating economic growth and development. It would be wrong to say that advertising is becoming a nuisance. It is only its improper use, for questionable short-term gains, that is giving it a bad name. it is poised to break new grounds in the future, by evolving new mediums of advertising for our growth and prosperity. By Laasya Venkatesh / In Chintamani.. According to my point of view I would go to no because the things that telecasted in the advertisement people believe them blindly they donot see whether the product is good or bad. They think it really what people or actors speak or enact accordingly how their script. The people who live in metropolitan cities know they can classify the things better than villagers. They do not have a clear idea about those products telecasted on TV or any other mass media,they just think that they also use the products which are telecasted on tv. They just have that prideness. The actors enact these roles for their survival so they just suggest us. People can go yes or say advertising a boon when it telecast something true going on in our country like swachh bharat and let them encourage the people to go in this. But people should not be influenced and be diverted towards bad things they rather pick up good things and they can follow Conclusion Advertising is both boon and bane. They have their own advantages and disadvantages. By Gaurav / In Gorakhpur.. IT is boon because by advertisement we are able to classify the better products from fake products. By advertisement we can know the qualification of any products and by this any shopkeeper can not cheat anyone. By Yogesh Sharma / In Alwar.. According to my point of view advertisement should be banned because it increases the price of that particular product. The advertisements are only showcase and the shows the product to increase the merits of that. I agree to some extent that it should be for general awareness but not to a great extent or in limit and try to not affected the price of the product. it's shown in the advertisement, is different to that. The money is given to celebrities for advertising is taken to people by increasing the price of product.